79, of Honolulu, Hawaii, passed away on Wednesday, September 19, 2018. 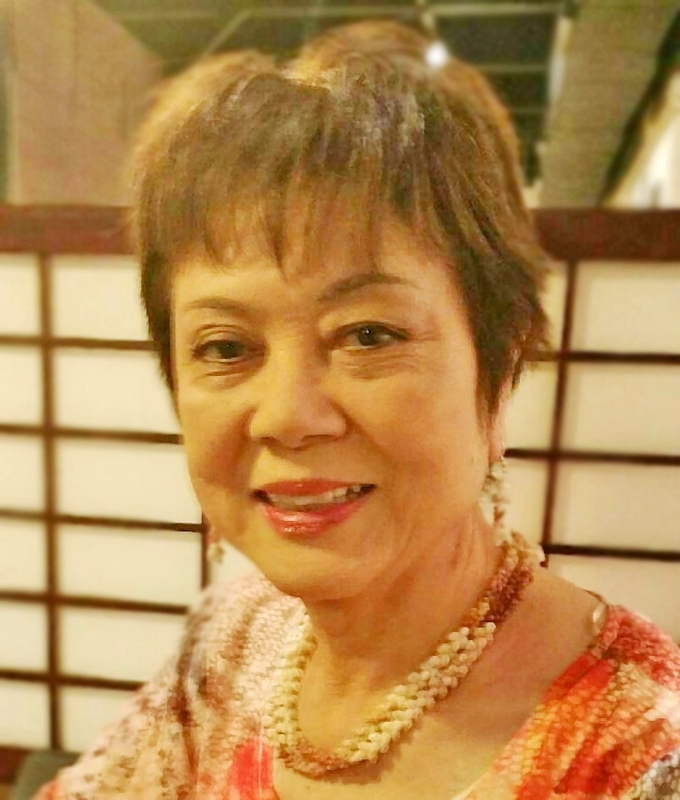 She was born on January 16, 1939 in Tokyo, Japan, and predeceased by her parents Yurizo Nakamura and Tsuneko Murayama of Japan and her late husband of 53 years Melvin E. Spencer, Jr. of Honolulu, HI. She spent all of her career in sales with Duty Free Shoppers. After retirement, she especially enjoyed being a loving mother, grandmother, and sister. She enjoyed preparing meals for her family and her dog Chibiko. She is survived by her sons Melvin E. Spencer III and Michael (Shelly) S. Spencer; 3 grandchildren Everett Kana'iaupuni Spencer, Hannah Kanoelani Tsuneko Spencer, and Ethan-Luke Keawe Spencer as well as two sisters Haruko Murayama and Kimiko Murayama and a brother Sadayuki Murayama. A Celebration of Shigeko's life will be held on Sunday, October 14, 2018 at Kaumakapili Church located at 766 North King Street Honolulu, HI 96817. Visitation will begin at 4:00 pm with a service at 5:00 pm. Parking available at the church, Tamashiro Market parking lot, and across the street at Kai'ulani Elementary School. Aloha attire and lei are welcome.